I used to sit with Ibn 'Abbas and he made me sit on his sitting place. He requested me to stay with him in order that he might give me a share from his property. So I stayed with him for two months. Once he told (me) that when the delegation of the tribe of 'Abdul Qais came to the Prophet, the Prophet asked them, "Who are the people (i.e. you)? (Or) who are the delegate?" They replied, "We are from the tribe of Rabi'a." Then the Prophet said to them, "Welcome! O people (or O delegation of 'Abdul Qais)! Neither will you have disgrace nor will you regret." They said, "O Allah's Apostle! We cannot come to you except in the sacred month and there is the infidel tribe of Mudar intervening between you and us. So please order us to do something good (religious deeds) so that we may inform our people whom we have left behind (at home), and that we may enter Paradise (by acting on them)." Then they asked about drinks (what is legal and what is illegal). The Prophet ordered them to do four things and forbade them from four things. He ordered them to believe in Allah Alone and asked them, "Do you know what is meant by believing in Allah Alone?" They replied, "Allah and His Apostle know better." I heard Allah's Apostle saying, "The reward of deeds depends upon the intentions and every person will get the reward according to what he has intended. So whoever emigrated for worldly benefits or for a woman to marry, his emigration was for what he emigrated for." (the mother of the faithful believers) The commencement of the Divine Inspiration to Allah's Apostle was in the form of good dreams which came true like bright day light, and then the love of seclusion was bestowed upon him. He used to go in seclusion in the cave of Hira where he used to worship (Allah alone) continuously for many days before his desire to see his family. He used to take with him the journey food for the stay and then come back to (his wife) Khadija to take his food like-wise again till suddenly the Truth descended upon him while he was in the cave of Hira. The angel came to him and asked him to read. The Prophet replied, "I do not know how to read. The Prophet added, "The angel caught me (forcefully) and pressed me so hard that I could not bear it any more. He then released me and again asked me to read and I replied, 'I do not know how to read.' Thereupon he caught me again and pressed me a second time till I could not bear it any more. He then released me and again asked me to read but again I replied, 'I do not know how to read (or what shall I read)?' Thereupon he caught me for the third time and pressed me, and then released me and said, 'Read in the name of your Lord, who has created (all that exists) has created man from a clot. Read! And your Lord is the Most Generous." (96.1, 96.2, 96.3) Then Allah's Apostle returned with the Inspiration and with his heart beating severely. Then he went to Khadija bint Khuwailid and said, "Cover me! Cover me!" They covered him till his fear was over and after that he told her everything that had happened and said, "I fear that something may happen to me." Khadija replied, "Never! By Allah, Allah will never disgrace you. You keep good relations with your Kith and kin, help the poor and the destitute, serve your guests generously and assist the deserving calamity-afflicted ones." Khadija then accompanied him to her cousin Waraqa bin Naufal bin Asad bin 'Abdul 'Uzza, who, during the PreIslamic Period became a Christian and used to write the writing with Hebrew letters. He would write from the Gospel in Hebrew as much as Allah wished him to write. He was an old man and had lost his eyesight. Khadija said to Waraqa, "Listen to the story of your nephew, O my cousin!" Waraqa asked, "O my nephew! What have you seen?" Allah's Apostle described whatever he had seen. Waraqa said, "This is the same one who keeps the secrets (angel Gabriel) whom Allah had sent to Moses. I wish I were young and could live up to the time when your people would turn you out." Allah's Apostle asked, "Will they drive me out?" Waraqa replied in the affirmative and said, "Anyone (man) who came with something similar to what you have brought was treated with hostility; and if I should remain alive till the day when you will be turned out then I would support you strongly." But after a few days Waraqa died and the Divine Inspiration was also paused for a while. 'O you (i.e. Muhammad)! wrapped up in garments!' Arise and warn (the people against Allah's Punishment),... up to 'and desert the idols.' (74.1-5) After this the revelation started coming strongly, frequently and regularly." Ibn 'Abbas in the explanation of the Statement of Allah. 'Move not your tongue concerning (the Quran) to make haste therewith." (75.16) Said "Allah's Apostle used to bear the revelation with great trouble and used to move his lips (quickly) with the Inspiration." Ibn 'Abbas moved his lips saying, "I am moving my lips in front of you as Allah's Apostle used to move his." Said moved his lips saying: "I am moving my lips, as I saw Ibn 'Abbas moving his." Ibn 'Abbas added, "So Allah revealed 'Move not your tongue concerning (the Qur'an) to make haste therewith. It is for us to collect it and to give you (O Muhammad) the ability to recite it (the Qur'an) (75.16-17) which means that Allah will make him (the Prophet ) remember the portion of the Qur'an which was revealed at that time by heart and recite it. The Statement of Allah: And 'When we have recited it to you (O Muhammad through Gabriel) then you follow its (Qur'an) recital' (75.18) means 'listen to it and be silent.' Then it is for Us (Allah) to make It clear to you' (75.19) means 'Then it is (for Allah) to make you recite it (and its meaning will be clear by itself through your tongue). Afterwards, Allah's Apostle used to listen to Gabriel whenever he came and after his departure he used to recite it as Gabriel had recited it." Allah's Apostle was the most generous of all the people, and he used to reach the peak in generosity in the month of Ramadan when Gabriel met him. Gabriel used to meet him every night of Ramadan to teach him the Qur'an. Allah's Apostle was the most generous person, even more generous than the strong uncontrollable wind (in readiness and haste to do charitable deeds). I replied, 'No. We are at truce with him but we do not know what he will do in it.' I could not find opportunity to say anything against him except that. 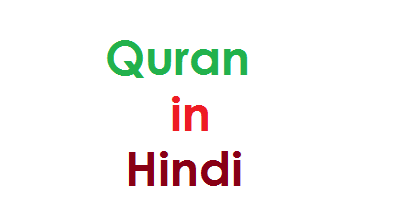 The Holy Quran in Hindi. Quran sharif is the last book of Allah that revealed on Our Beloved Prophet HAZRAT MUHAMMAD (S.A.W.W). This file is PDF so you can read online and download easily. Quran-e-Pak is most important for every Muslim, So we should recite The Holy Quran daily. 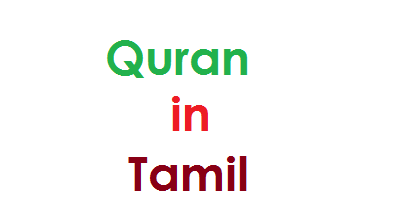 The Holy Quran in Tamil Language we are here providing for reading and also listening online. You can also read Quran in Tamil with Meaning here and Download in PDF format also. 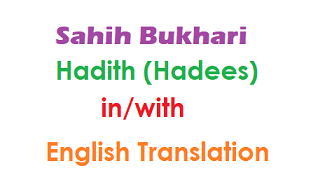 You directly Read Quran in Telugu and Listen Quran in Telugu from here. 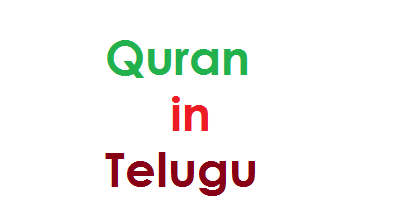 We are also here providing the Holy Quran in Telugu Language with meaning here. 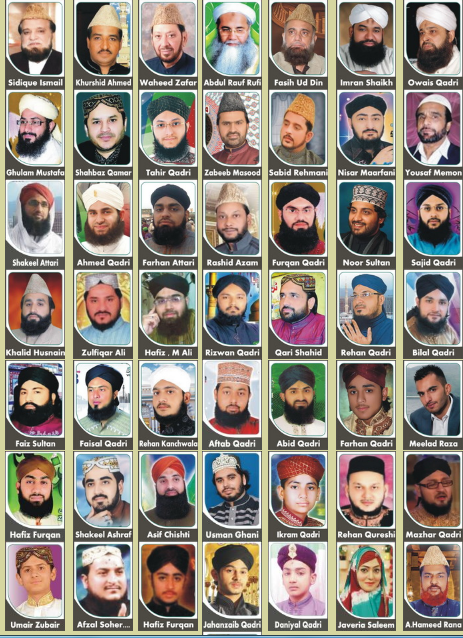 NAAT – sung with daff musical instruments – that specifically praises the prophet MUHAMMAD . The practice is popular in South Asia ( Pakistan and India ), commonly in Urdu or Punjabi language . People who recite Naat are known as Naat Khawan or Sana'a-Khua'an . It is difficult to trace the history of Na'at Khawani since no authenticated record of when it was initiated can be found. One early author, Hassan Bin Sabit (R.A) , was known as Shair-e-Darbaar-e-Risalat . Even before accepting Islam he was a poet, but after embracing Islam he gave a new turn to his poetry and started writing Na'ats in honor of prophet MUHAMMAD . He was famous for his poetry that defended prophet MUHAMMAD in response to rival poets that attacked him and his religion. Therefore Hassan Bin Sabit (R.A) is known as the first Sana-Khawaan (Naat reciter) of that time. After that many a poet followed this trend and totally dedicated themselves to writing Naats.